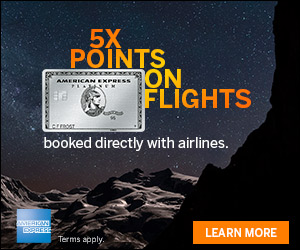 Points and miles collectors like the option to earn points by loading Vanilla Reload cards to an American Express Blue Bird account. What’s not to like, you meet minimum credit card spend and can earn miles purchasing reloads for reloadable gift cards that can be used to pay everyday bills. I shared my trouble finding a store that would sell a Vanilla Reload card. But what I didn’t share was I bought a My Vanilla Pre-Paid Visa card before I found a store that would sell the Vanilla Reloads for my Blue Bird card. Instead of purchasing a Vanilla Reload, which the clerk told me was cash only, I purchased a starter kit for the My Vanilla Pre-Paid card and loaded it with $500 with a credit card. It was a simple process that only took a few moments and then I was on my way. I had read about the My Vanilla Pre-Paid card a few times and was interested to understand how difficult or not it was to use. Since my local CVS wouldn’t sell me a Vanilla Reload card, I thought I’d experiment with the My Vanilla Pre-Paid starter kit. I picked up a starter kit and loaded it with $500. The starter kit comes with a gift card that you can reload, but it doesn’t have your name on it. So when I returned home I logged into the My Vanilla website and ordered my personalized card. Next up was to learn how to use it. The My Vanilla card can be used everywhere a debit card can be used. In addition, you can use it at ATMs, but there is a $400 withdrawal limit. You could purchase something at a store and then select the cash back option to save a trip to the ATM. Instead, I headed into a local bank and asked for a cash advance on the card. I was first asked to present my ID which matched my personalized card. Next, the clerk went to the machine and swiped my card to process the cash advance. Within a few moments the clerk was asking if I’d like my $500 in small or large bills. The process was quick and smooth. My experience with the My Vanilla Pre-Paid Visa card worked well. The total cost was $3.95 to load the starter kit card and no additional cost to obtain a personalized card. I can’t say I enjoyed or think it was worth it to process a cash advance in a bank. And there are many risks to using this card. For example, if I lost or had my starter kit card stolen which didn’t have my name on it, the My Vanilla site advises customers to call customer service to eliminate or reduce loses. That isn’t very reassuring. What’s your experience with the My Vanilla Pre-Paid Visa card? I have a q..It’s useful for the first time. How do you reload money onto your Personalized card again? Can we buy the prepaid card again and Reload it on to the personlized card? was there a charge for the cash advance? I use the my vanilla quite a bit. I have found it useful since I can load my vanilla cards after I max out loading bluebird. I believe you can get a cash advance to 2500, though I usually do 2400. There is a 50 cent fee for the cash advance. At, can be pricey. I haven’t had much success getting the 400 limit, mostly there is an imposed 200 limit. 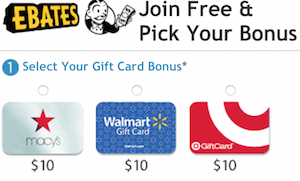 It’s easier to go to Walmart, buy something small and get 100 cash back. Again a 50 cent charge. I found some other uses that work for me as well. Watch out with the cash back option. I’ve personally selected this option at Publix and it rang up as an ATM withdrawal. In that case there was a $1.95 ATM withdrawal fee. Hi Jiml, can we just buy another one at CVS and load on personalized card? @ DavidAL: So true, but funny. It is all in the part of the game. You have to move on. The cards can be reloaded with the generic vanilla reload cards. I had a zero ($0.0) fee for a $500 cash advance. The most important question, can you buy & load using a credit card? You can buy a vanilla reload at cvs and load it onto my vanilla debit card. I do this routinely as well as loading the vanilla reloads onto bluebird. 1) Can you use the My Vanilla Visa Prepaid Debit card to load a Bluebird at Walmart registers using the PIN? If so, I presume there would be a 50 cent fee, is that right? 2) Also, can you buy the starter kit and choose not to register it and not receive a card with an embossed name on it? If so, to what practical use would the card be until it the 500.00 is used up (and presumably not refillable since a permanent card was not ordered)? Most importantly can you get 5x? Until then it’s not worth it. 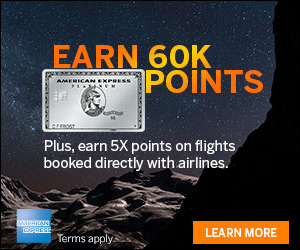 @Bald Army Guy – How is not worth it to buy points for less than 1% and use them for international FC travel? Can you reload this card with a credit card at CVS or elsewhere or do I need to use vanilla reloads? You need to use Vanilla reloads. Is there any bill pay feature built into the card? I am guessing “not” if people are hitting ATM’s and cash advances…but their policy states…. My Vanilla debit (MVD) cards can be loaded with $9999/mo. I have loaded up to $8K/mo and done cash advances of up to $5K at one time for $.50 fee from MVD. I use this, along with Bluebird, monthly. Do the bank make money by doing CA on the MVD card? I think I made a mistake. I bought the black reload Visa gift card (also with 3.95 fee) at CVS. I don’t see any kit with it 🙁 How do I drain the card out? I signed up online and it said I will get a personalized card in 10 days. When it comes, can I load this gift card money to that and do what you did? I think you can use the same approach, but without seeing the exact card can’t be sure. I do not know how you guys do it. I been shutdown at walgreens,CVS, and even 7-11. They all tell me cash only. Am I doing something wrong? Sound like it is good for the 1st $500. Then I still have to buy Vanilla Reload to load this prepaid Visa card. If I can buy VR using CC, I would rather load it in my Bluebird account instead of this card. It is really not that useful unless you maxed out loading BB account and need another place to load. how much can i have direct deposited to my vanilla what the max? The video below gives more information about how the slime mold U. My question is that im wondering is there a fee when you sign up for the original card with your name on it if your balance gets really low & is it like rushcard where they charge a dollar each time you use it to purchase items? I have recently got a reloadable my vanilla visa debit card, I understand there are fees for certain transactions. I was wondering if anyone who has used this card, when buying something on Amazon.com is there a fee or is it just the total for the thing I’m buying and shipping? I have had nothing but trouble since I purchased my vanilla card. The biggest problem I’ve had is that when I go check the balance and it asks me to enter my card number it tells me the card number is wrong. Then when I try and call to reach a customer service rep I can’t get through because it tells me my card # is wrong. This is a huge inconvenience as I only use this card while my family is on vacation!! I bought this card for a client and for some reason he was unable to activate the card. Vanilla has made it imposable to reach them and from everything I have read there are a bunch of hops to jump through if I ever do. If anyone has a number that doesn’t require a valid card seeing my card somehow isn’t can you please post the number? I used my Vanilla Debit Card a lot – at first. Then around the third month of use, I had unauthorized charges on my card. When I caught it, I immediately contacted their customer service. It took me a week and three representatives later to be able to put in a claim and put a hold on my card. The first two told me to wait to allow the charges to clear, but never suggested to put a hold on the account. The third representative not only put a hold on the account, but also ordered me a new card. What’s worse, part of my pay check went into this account so I was concerned that the persons responsible for the charges would get a hold of my money. After putting a claim in, I received a letter in the mail stating that they would have to do an investigation and would let me know the results in February – it was November! So, I immediately canceled my direct deposit and took all of my money out. Even though I have a new card, I’m not confident with their fraud detection program. I’m still waiting on the results of their investigation (and hopefully the return on my $300). But, at this point I’m not hopeful. I’ve had much better luck with American Express Prepaid card and just using my regular checking account. I have a Vanilla Prepaid Reload, I want to know how to cash it all out. I really need the cash asap. Please, if anyone knows, let me know. Thank you.